Have you ever wanted to be an animal? We bet you’ve had this discussion with your friends before, right? We know we have. Life as a human can be pretty stressful and emotionally demanding, so being an animal just seems like the perfect way out. Okay, say your friends. You have wanted to be an animal. Which one? Fancy being a cat? No obligations, food on demand, 20 hours a day of sleep…sounds pretty perfect. How about a dog? You get a best friend for life, walkies every day, and the attention of animal-loving strangers who just want you to be happy. Can’t beat that, surely? Then you pipe up, confident in your answer. I’d like to be a deer, say you. They’re agile, majestic creatures, and they’re pretty strong, too. Your friends nod in silent contemplation and agreement. Little do they know that Deer Simulator already offers you the chance to do just that and you can play this awesome game on Poki right now. Yes indeed, if you’ve ever wondered what life is like as a deer, Deer Simulator is absolutely for you. The game takes the form of a sort of quasi-open-world-come-sandbox in which you, as a deer, can frolic, forage and generally do everything deer do on a day-to-day basis. 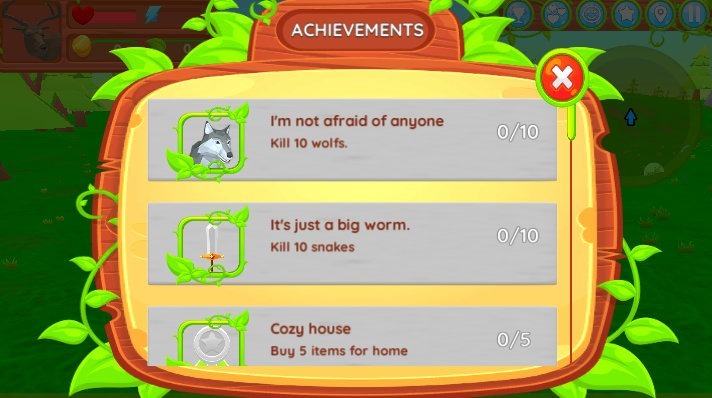 You’ll battle hunters and other good-for-nothing humans, vie for dominance with other animal species and, err, complete quests for coins and experience points. Okay, so perhaps Deer Simulator isn’t exactly a one-to-one representation of what being a wild deer would actually be like. 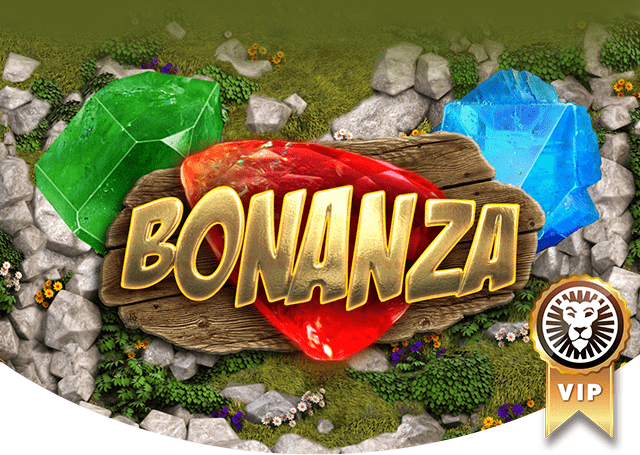 What it is, though, is a thoroughly enjoyable, affectionate and compelling romp through a vibrant, colourful sandbox; a game which demands very little of you and rewards you disproportionately for your time. 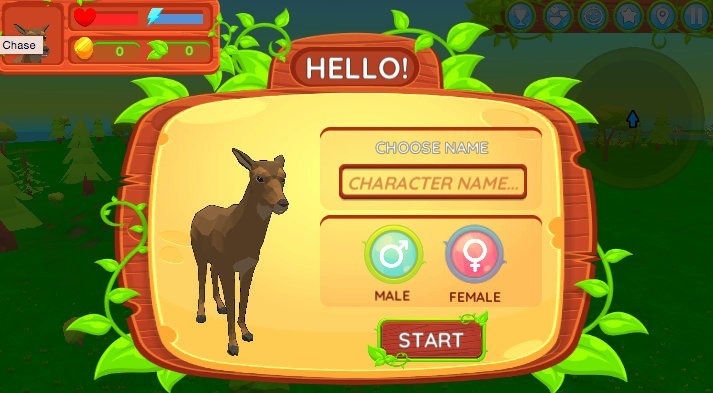 The first thing players will see when they boot up Deer Simulator is a box into which they can input their chosen deer’s name and choose its gender. There aren’t any differences between the two in terms of combat ability or gameplay style, so it’s entirely up to you which one you pick, although the male deer’s antlers are pretty rad. Once that’s done, it’s off into the game’s surprisingly sizeable map to take on quests and rise through the ranks of deerdom. That’s not entirely true, actually. There isn’t much to “rise through” in Deer Simulator. Without a central narrative arc or through-line for players to latch on to, the quests in Deer Simulator do rather feel like “a series of quests” rather than a cohesive story. That’s absolutely fine, though. Deer Simulator doesn’t want to be a huge triple-A odyssey, a trek through a savage and brutal wilderness akin to The Forest or The Flame and the Flood. 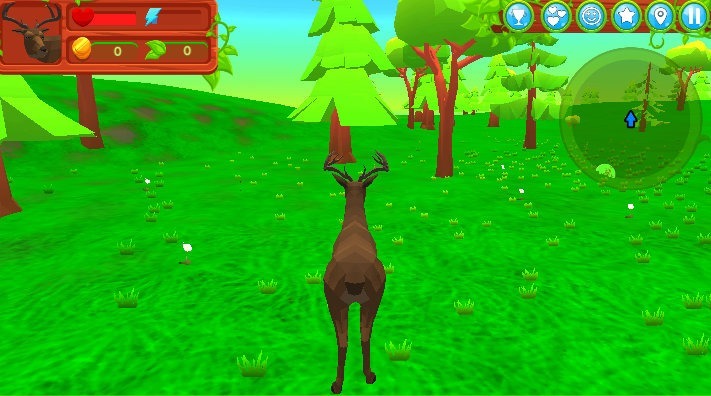 Instead, Deer Simulator offers a far more sedate look at the life and times of a wild deer. There are quests, there is combat, and there are upgrades to be had, but the game is just as happy to let players wander about. That wandering is facilitated by some pretty impressive animation work, which renders the titular deer with enough realism to make us feel like an actual deer (no small feat), as well as some pretty strong visuals. The graphics aren’t always completely consistent, but they are always fun to look at, and the game never feels ugly or off-putting. If you do decide to pursue what could charitably be called the critical path of Deer Simulator, though, you’ll find a fairly meaty experience, especially for a game this relatively small. Quests involve finding objects, playing minigames, engaging in combat and more, depending on the quest-giver. Deer Simulator is quite happy to let you mosey on over to the quest area yourself, and once you get there, there’s no lengthy expository cut scene or dialogue-heavy exchange. It’s just your deer, your deer’s objective, and e’er the twain shall meet. 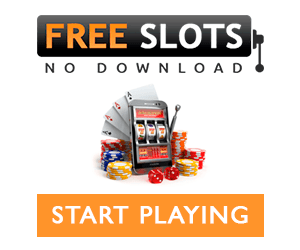 Completing quests, just like engaging in combat, nets you experience and in-game currency. 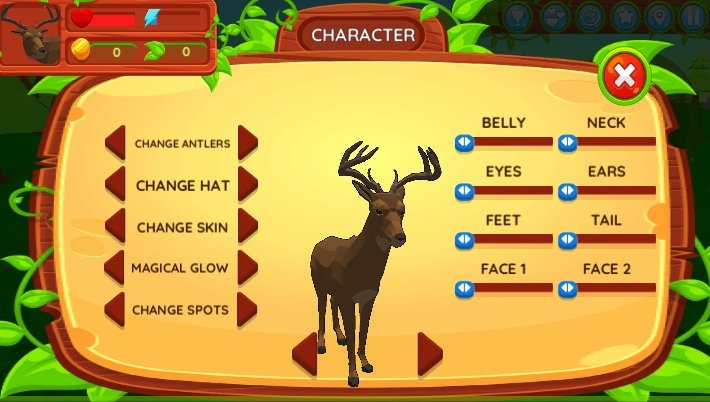 The former can be used to level up your deer’s attack power, life and energy, while the latter goes towards purchasing cosmetic variants of your deer’s appearance (ever wanted a deer with glowing antlers?). 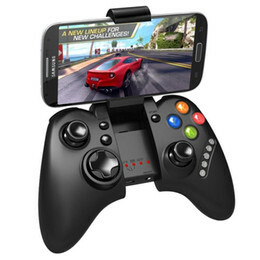 It’s a nice, gentle gameplay loop that never feels exploitative or grindy, and always offers something substantial in terms of a reward. If you’re not too bothered about changing your deer’s appearance, though, there are other areas in which you can spend your hard-earned cash. Oddly enough, Deer Simulator features a homestead area in which different features can be purchased in order to unlock further stat upgrades. The upgrades are fairly straightforward, and once a feature is purchased it simply appears in the homestead, but it’s a nice aesthetic touch nonetheless. Lastly, if you just want to kick back and enjoy life as a deer, you can start your very own deer family. Your family can be fed, watered and upgraded, and will join you in combat should you need them to. Children can be added to the family according to your level, which is quite a nice little touch; after all, one should only consider children if one feels ready for them, right? All in all, Deer Simulator is a really nice little package. It’s relaxing, but that doesn’t mean it isn’t fun; combat is rewarding (if a little basic) and the wealth of features on offer prevents the game from becoming boring. We’d thoroughly recommend Deer Simulator for downtime moments, or even when you’re just looking for that excuse to experience life as one of nature’s coolest animals.